You might've heard by now that Samsung's latest flagship phones are a bit of sorcerers — they can charge other handsets! And not via cable or anything cumbersome like that, but entirely wirelessly. Yeah, the Galaxy S10e, Galaxy S10, and Galaxy S10+ all support reverse wireless charging or — as Samsung calls it — PowerShare. 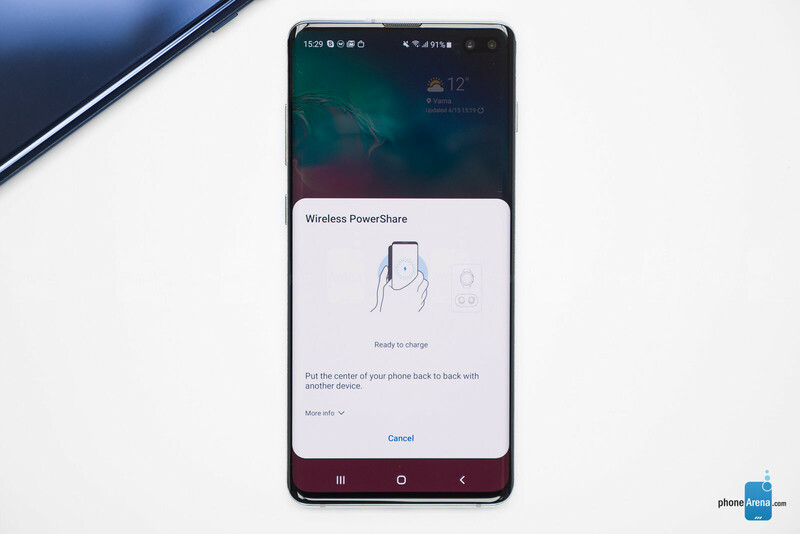 Before we get into the guide of how to activate and use this feature, we'd like to point out that using wireless PowerShare is hardly a good option — inductuve charging is extremely inefficient and you will end up losing a lot more charge from the Galaxy S10 than the receiving phone will get. That said, if you happen to be full and need to revive a buddy's phone for a bit, it can work. You can find the toggle to do this in the notifications shade. If it's not there, tap the triple-dot menu and open Button order to find the Wireless PowerShare tile and put it where you want it to be. 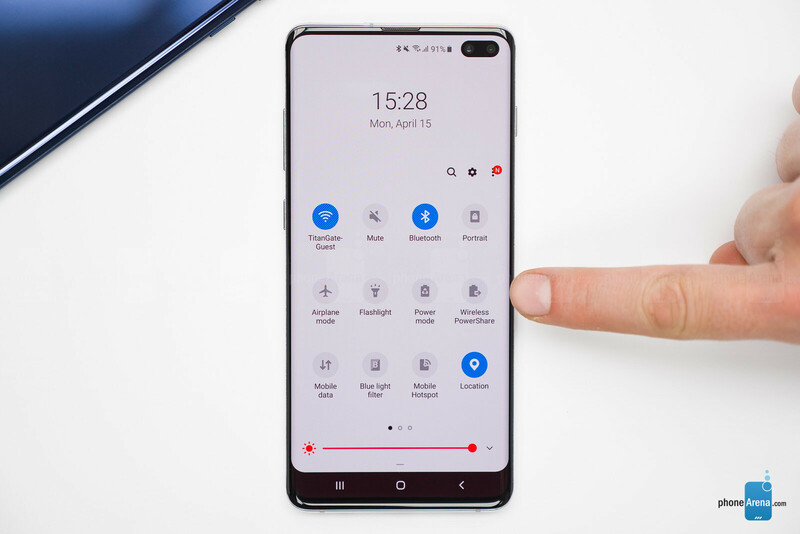 The next step is simple — turn the Galaxy S10 face-down and put the receiving device on top of it. 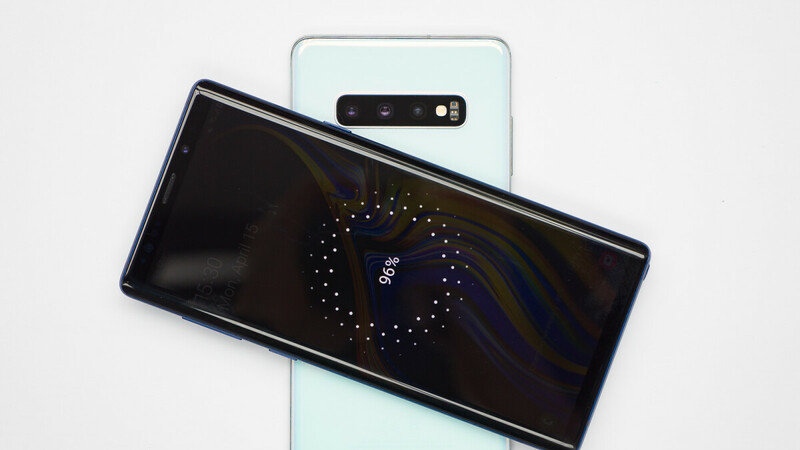 The S10 will give off a slight vibration when it detects another device and the charging begins. That's pretty much all there is to it. Have fun!